Snacks can play an important role in managing a child’s hunger and in boosting their nutrition. A well-timed snack can not only manage hunger but provide a much-needed energy boost between meals. Yet many parents and children tired grow tired of the same old things like bread sticks and raisins or highly priced punnets of fruit, flown hundreds of miles, covered in plastic and probably sprayed with pesticides. Alternative healthy snacks can be right under your nose and what’s more are seasonal, fresh, nutritious, diverse and completely free. 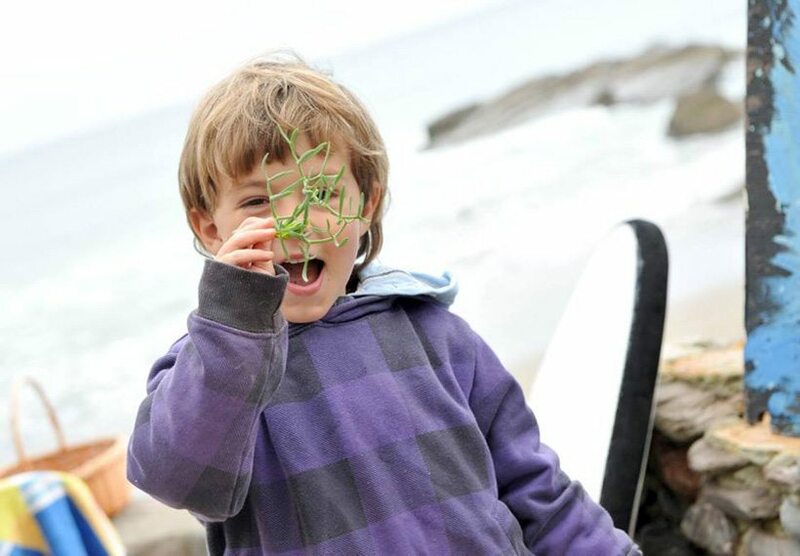 As a Wild Food teacher, I’m often asked if children should be encouraged to forage for their own food. The answer to that is, yes, without a doubt. My son, now three, has always snacked on wild food, from being strapped into a sling as a baby – to now leading the way himself, pointing out in delight what he’s discovered from the hedgerow. Where other children his age know where the sweetie counter is at the local shop, my son can tell you where to find the sweetest Red Campion flowers or succulent Pennywort leaves. In fact, although when we’re out and about I make sure that my bag is full of apples and crackers (just in case) I normally find if he’s hungry, he’s looked to the hedge for himself and come running to me with a chubby fist full of nature’s offerings. Given the opportunity, kids love to be out in the woods or in a field, searching for bugs and sticks, flowers and rocks. Showing them that you can eat some of those plants should not be scary, but fun. With a little caution, and plenty of encouragement, your kids will be able to positively identify many common and safe wild edibles. This skill is nothing new of course; as children our ancestors would have done this for generations, yet traditional knowledge and instinct have been lost within this modern world of ‘Nature Deficit Disorder ’ a phrase coined by Richard Louv in his 2005 book Last Child in the Woods. Our nation’s children are missing out on the pure joy of connection with the natural world; and as a result, as adults lack an understanding of the importance of nature to human society and are disconnected from the food that they eat. Some of the best wild edibles to begin teaching your children are the obvious ones without poisonous look-alikes. Berries like Blackberries and Elderberries are great first edibles that are widespread and they taste sweet. Freshly picked Blackberries always taste better than any shop bought ones. Edible flowers are another fun food for kids. Popping off the big, yellow heads of dandelions and munching on the flower petals is great fun, and when we collect bags full of them to turn into Dandelion syrup to pour over homemade pancakes, as you may well imagine the kids can’t seem to get enough. Violets are pretty and edible, and the taste is very mild as are all the Campion flowers and Primroses. Mild with a sweet crunch, easy to identify and plentiful. 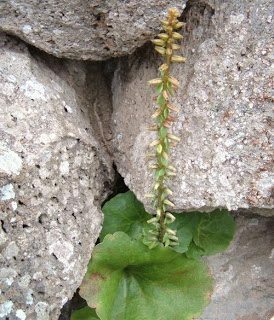 Pennywort grows in hedges that have stones and in crevices in rocks. It has spikes of greenish-pink flowers on stems that may be a reddish shade and it flowers in spring and as late as May and early summer depending on location. It really is an enjoyable edible wild plant to be eaten as a salad vegetable or to add to sandwiches but most of all – make a great snack food. 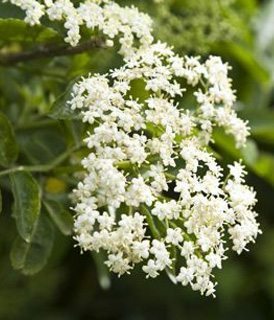 Elderflowers are one of nature’s finest edible treasures and the signature wild food of early summer. Whilst we don’t tent to eat them raw (though the flowers can be forked off the stem and added to salads and jellies) a great snack for children is to turn them into fritters! Just mix chickpea flour with water until you get a thick batter and then fry in hot oil for a minute or two. Lightly dust in cinnamon and a small amount of brown sugar or honey. Growing in nearly all types of pasture, including meadows, roadsides and hedgerows. The flavour is delectable: a citrusy, sherbetty sharpness not quite like anything else. 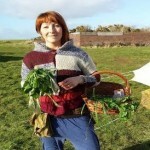 It is certainly the favourite plant when I’m leading foraging activities with children. 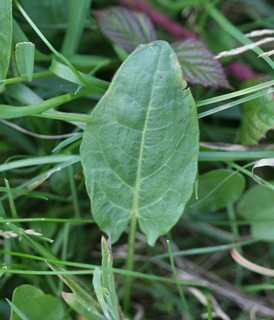 Common Sorrel is a very easy plant to identify, the lobes at the base of the leaf always point backwards down the stem. It does contain oxalic acid – so avoid eating too much in one day – but a good fistful on a family walk is always a must for us! 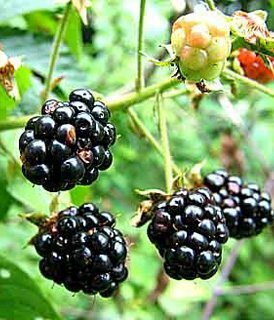 Sadly more and more children in the UK have never popped a ripe Blackberry into their mouth straight from the hedge. Wild blackberries are like the ones you buy, but better. The fruit, which ripens from mid-summer to early autumn, goes from green to red to black. There are so many fun recipes to create with your kids but for me – nothing beats a bowl of fresh berries with a dollop of natural yoghurt. I also found a good blog called Food Mouth  with a recipe to make your own Blackberry fruit leather, a great lunchbox snack! The edible flowers have a coconut aroma on a sunny day and an almond taste. We love to have competitions in who can find the most ‘coconutty’ flowers. A great snack food to nibble on as they are high in protein. 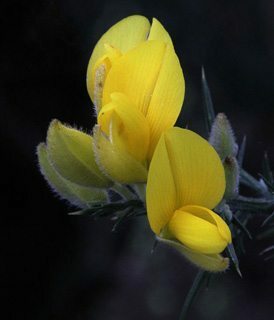 They brighten up salads and each year I make a fabulous gorse flower ice-cream, plenty of recipes for this to be found online. Take care when picking as they bushes are sharp but great for kids as the lower flowers will be just the right height. The most important thing to do before eating anything from the wild is to be sure of its identification. This is something you must emphasise to your children before you venture out the door. First put some rules into place: they are not to taste ANYTHING unless they have double checked with you that it’s safe to eat. If you yourself are in any doubt, then just leave well alone. Make sure your children understand that not only do they need to be sure that the plant is edible, they also need to ensure that they are picking their edible plants from a safe location – e.g. not from a busy roadside or low down on a path frequented by dog walkers. Children love the adventure and treasure hunt of searching for wild food, so it’s good to set them mini challenges: who can be the first to spot those sought after Ox-Eye flowers? Children are usually really good at recognising edible plants (more so than the adults I find!) but often get the names muddled up. Lots of repetition of the name will help – and bringing that plant into the kitchen to study and use at home will reaffirm what you’ve learnt in the wild. Encourage them all to have a try. Children are usually brave and adventurous at trying the plants and telling me what they think the flavour reminds them. Even if a wild edible is really spicy – like those in the mustard family – I usually find they all want to try it! When I work with younger children, I like to refer to the flower Fairies who guard the plants. If you’ve never heard of these, get yourself the Flower Fairy books by Cicely Mary Barker. Go hunting for the colourful ones. As you know, young children love bright colours and there’s something funny about eating flowers. Search out the bright colours of dandelions, violets, wild garlic and gorse. They’re easy to spot and are varied when it comes to flavour.